Cinco de Mayo is one of our favorite holidays here at Casa Verde because it is pretty much a holiday centered around chips, dips, margaritas and friends. What better way to celebrate than host a little get together with my friend and neighbor, Rebecca from Homemaker's Habitat and share all our recipes and decorating ideas with you! Rebecca is a culinary consultant and recipe creator for some of the top chefs and food brands around the country. In addition, she has been blogging for the past couple of years sharing delicious, yet easy recipes, fun party decor and craft projects, and the real highs and lows of being a working mom. I feel very fortunate to have her as a neighbor and friend and find myself often checking out her blog for a last minute dish to impress at a brunch or dinner party. 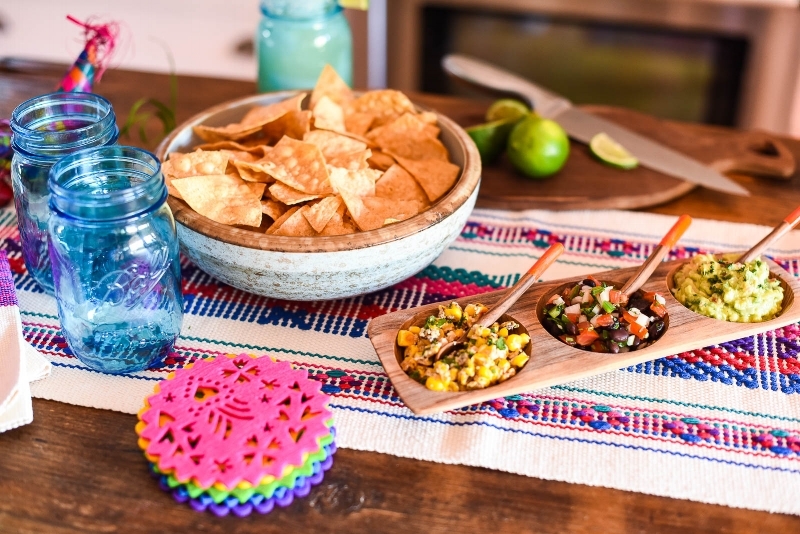 For our little fiesta, Rebecca was kind enough to whip up some Mexican Street Corn Dip, fresh pico de gallo and amazing guacamole. Her husband, Jon, was also at the gathering (taking these great photos) and made his Killer Lime Cilantro Margaritas. I had never thought to put cilantro in a margarita before, but it is a definite MUST from now on! For the decor, I wanted something simple, but festive. It is so easy to achieve the look I wanted with our Margarita Napkin Set and Fiesta Table Runner. 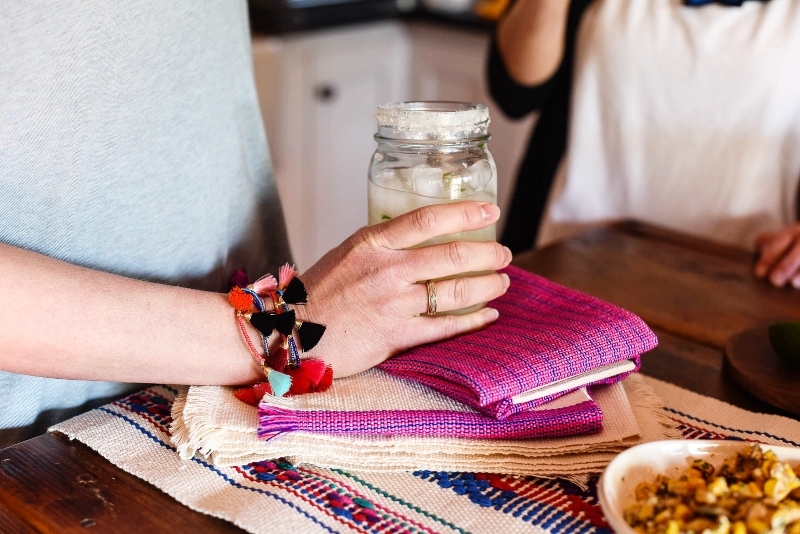 Add a few Papel Picado Style Felt Coasters for the drinks, Woven Pinatas, and Tulum Tassel Bracelets and everyone was in the mood for fun. P.S. Casa Verde is one of the sponsor's of Homemaker's Habitat's Mother's Day Giveaway. Win our Shibori Dyed Tote and a whole bunch more by entering here.